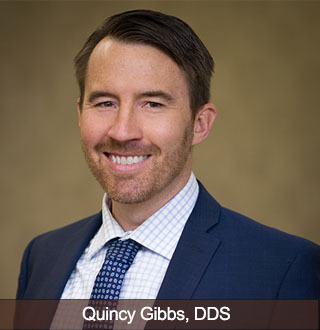 Dr. Quincy Gibbs are both board-certified prosthodontists. A prosthodontist is a doctor of one of the nine specialties within dentistry, with a focus on replacing missing teeth. Having acquired this specialty means that Dr. Keith and Dr. Gibbs have taken the extra steps, both academically and in clinic, to be board-certified in this function as acknowledged through the American Board of Prosthodontics. Our office is proud to share with our patients that our dentists are specialists who have extensive postgraduate training in advanced techniques. They will deliver all treatments that are currently available in this rapidly growing area, offering you updated information with caring hands. The health of your mouth is in direct relation to the health of your body. Studies have shown that bacteria, abscesses, and other infections in your soft tissues and tooth pulp can directly impact your body overall. Disorders such as heart disease, diabetes, and all conditions that arise from infection being present, are exacerbated from poor oral health conditions. We want to help restore your health as well as your smile. Feeling good about your smile creates a larger impact than you realize. Patients who suffer from missing teeth face so many other effects: from teeth shifting, to bite changing, to problems with your speech, to how you feel about yourself in social situations. Some people even find that their employment status is affected when they have missing teeth. Let us help you feel and look like your ideal self. At Dental Implant Center at Walnut Creek, you will get the pretty smile you desire and so much more. Through our services, we provide our patients the highest quality, comprehensive dental care that is designed to treat you as an individual and covering your needs. With a combination of the latest tools, techniques and skill, we are constantly striving to produce long-term results, giving our patients healthy mouths with a natural, optimal look and feel. We believe that a successful outcome begins by creating an individual treatment plan that has been tailored to your specific needs. At our office, our patients receive a comprehensive exam and consultation at their first appointment. During this appointment we will assess your oral health and review your end goals. Together, we will create a treatment plan that suits your health, your finances, and give you the look you desire. We offer restorative surgical treatments that range from simple tooth-colored fillings or crowns to more complicated dental implant placement or even complex full-mouth reconstructions. We believe that all restorations should be natural replacements so their physiologic contours will be aesthetic, comfortable and function well. To reserve your time with us, contact our Walnut Creek office and we can begin to travel the road to a lifetime of excellent dental health together. We look forward to meeting you soon! 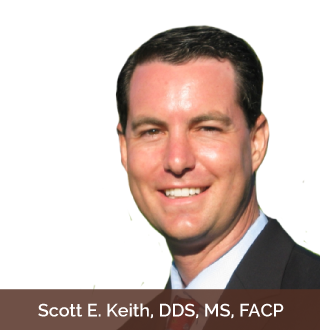 Dr. Scott Keith and Dr. Quincy Gibbs are both Board Certified Prosthodontists. They are dental specialists who have extensive postgraduate training in advanced techniques to deliver all treatments offered with caring hands.